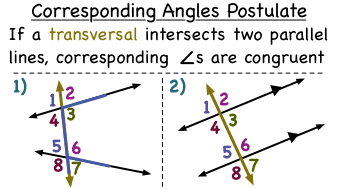 When a transversal intersects parallel lines, the corresponding angles created have a special relationship. The corresponding angles postulate looks at that relationship! Follow along with this tutorial to learn about this postulate.